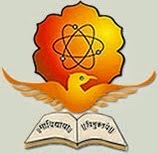 Swami Ramanand Teerth Marathwada University (SRTMU)announced a recruitment notification and invites application from eligible aspirants for the various vacant vacancies of Assistant Professor (Geography). Aspirants those who are interested and eligible for this recruitment may submit their prescribed format of application form on or before last date which is Within 15 days from the date of advertisement. Qualification :Candidates must possess minimum 55% PG in relevant subjects with qualify UGC NET/ SET & Ph.D for Assistant Professor. Last Date : Within 15 days from the date of advertisement. How to Apply :Candidates have to send their bio-data & all necessary documents to Farmer Education Prasarak Board boragava (Kale) by no plot. P.78 , M.I.D.C Kalav Road, Latur – 431539 within 15 days from the date of advertisement.